Deli & Provision products provide chefs with unlimited lunch menu options that are quick and easy to prepare. Most deli items can also help operators lower their plate costs while still providing their customers with an outstanding & delicious meal. 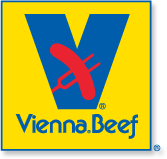 Take a moment to browse our items below, you’ll find a variety of deli items along with a large selection of premium made sausages, hot dogs, and brats. Sausage and brats provide an opportunity for chefs to enhance traditional dishes or develop new and exciting signature dishes. From traditional brats to custom sausage blends Swanson’s team is committed to providing our customers with a wide selection of the highest quality sausage & brats. Below is a list of sausages & brats that we carry here at Swanson Meats as well as our own House Sausage & Brat Blends. Swanson Meats Custom House Sausage & Brats– Our custom house sausage & brats are considered by some as the best tasting they have ever had. What the secret? It’s rather simply, we believe in using only the highest quality ingredients available and leaving out all the rest. If you’ve never tried our sausages or brats ask for a sample today, guaranteed not to disappoint. Jones Dairy Farms Sausage – Sausage is Jones Dairy Farm’s most signature product. They use the same ingredients Milo Jones used more than 125 years ago when he first started the company—pork, water, salt and spices. The result is an array of links, patties and ground sausage that have become a staple on the tables of families throughout the country. Located in Fort Atkinson, WI. 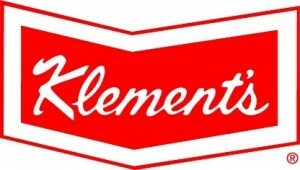 Klements Sausage & Brats – Quality and freshness have always been the center points for Klement’s success. Klement’s products are considerably leaner than the competition. It’s a high protein, lower fat product that today’s consumers demand. 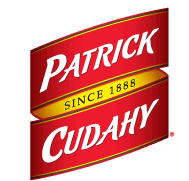 The company’s Italian Andouille and Polish sausage have been the main stays of the company from the very beginning. Rose Packaging Company Sausage – Rose Packaging Company’s sausage is made using tender pork loin trimmings, perfectly seasoned using a mild blend of natural spices. Their popular patties, skin-on links, and skinless links are packed full of flavor and guaranteed to make your customers ask for more. Thielen Meats Sausage & Brats– Is a 4th generation meat market that was built in 1922. Though they’ve added many great meat products over the years they old fashioned techniques have remained the same. Thielen Meats is known around the world for having the very best quality fresh and smoked meats. Webster City Custom Meats– Was first opened their doors on January 9th in 1973. Webster City specializes in custom meat processing of fresh and smoked pork products. Products are processed using strict standards that ensure quality and consistence time and time again. Located in Webster City, IA.